a mirror to the society especially in ugly times. He is hailed as one of Urdu&#39;s finest &amp; most controversial writers. 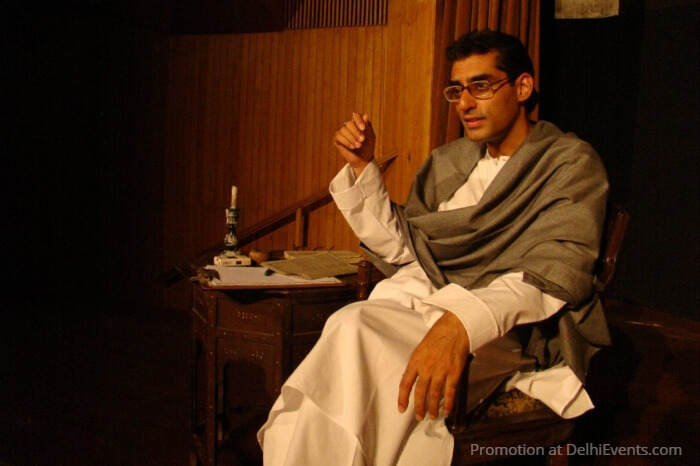 The performance is based on articles written by Manto and explores his life, times he lived in and the social changes, he witnessed at the time of India’s Partition. Ashwath Bhatt plays Manto who engages with the audience in person, trying to answer the biggest question “Why I write what I write”. used at a few places to highlight the pathos of Manto’s life. Norden Farm Art Centre (Maidenhead, UK), Nehru Centre (London), Indian Embassy (Berlin, Germany), World Performing Arts Festival (Lahore, Pakistan). Guwahati-Assam, Gangtok-Sikkim, Delhi, Madurai, Bangalore, Amritsar, Lucknow, Bareilly, Ahmedabad, Gurgaon-Haryana &amp; Patna-Bihar. Ashwath also acted in recently released film ‘MANTO' and GALI GULIYAAN. He has been critically appreciated for his performance in Meghna Gulzar's RAAZI.